Tons of anime come out every year, and some of them enjoy a brief moment of time in the spotlight; Dragon Ball Z is not one of those anime. Dragon Ball Z is a global phenomenon that is still as popular today as it was during its original run in the States. Its characters are instantly recognizable, and its most celebrated moments are nothing short of iconic. Without its success, who knows what the anime landscape would look like right now. This doesn’t mean that Dragon Ball Z is perfect. Actually, when looking closer at the series, it becomes clear that those iconic moments are just that… moments. In a series with 291 episodes, we’re often left with a hollow narrative that drags for far too long. The story follows Goku and the Z-Fighters as they defend Earth from the forces that hope to destroy it. The series is divided into different story arcs where new threats show up for our heroes to defeat. The success of these arcs varies greatly and is mostly dependent on who the main villain is at the time. 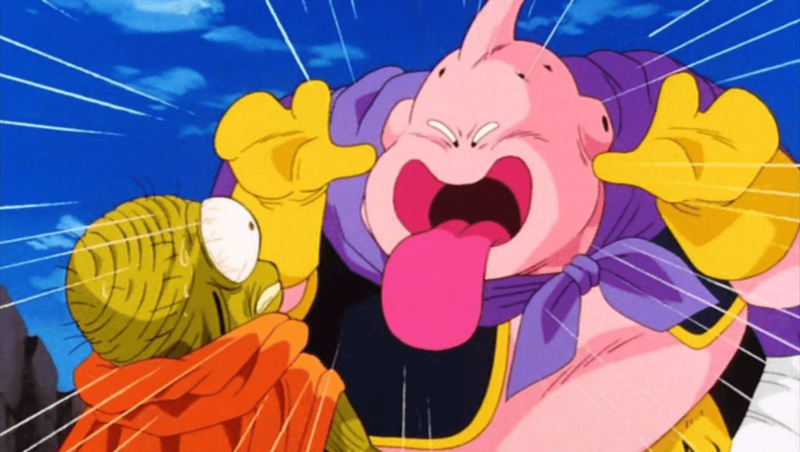 While a villain like Frieza feels absolutely necessary in the context of this universe, someone like Majin Buu is more of a tacked-on inclusion that serves no larger purpose. A simple plot makes it so the importance of the characters has to be emphasized; the problem is there’s not much to most of them. A lot of the emphasis of Dragon Ball Z is put on the combat, which leaves very little room for character development. Most of the characters stay pretty much exactly the same from beginning to end, with the exceptions being Vegeta and Gohan. Even Goku, who is our main protagonist, is a one-note character. He’s defined by his carefree attitude and desire to fight stronger opponents. His naivety is often a hindrance to the people around him; at one point, it even costs him his own life. This is why the addition of someone like Vegeta near the beginning of the series was essential. Goku is who he is, so we need someone else to have a character arc we can follow. Vegeta undergoes the most change during the series. He starts out as a cold-hearted warrior, but slowly evolves into someone with motivations that go beyond himself. Most of what he does is fueled by his desire to be stronger than Goku, but he eventually starts a family and begins making decisions with them in mind. Vegeta is also the source of Dragon Ball Z’s most memorable quotes. His one-liners are absolutely hysterical, while his inner monologues are the most introspective moments in the entire series. Gohan is Goku’s son, and his character arc is an absolute triumph. When DBZ begins, Gohan is just four years old. He’s a whiny child who wants nothing to do with fighting. Despite this, he’s shown to have this insane amount of hidden potential that they bring out of him slowly as the series progresses. It’s a slow burn for sure, but it leads up to one of the best payoff moments that Dragon Ball Z has to offer. 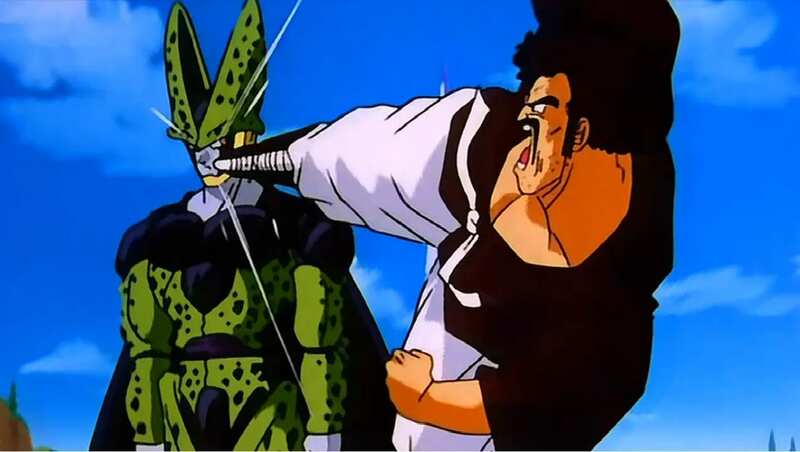 What they do with his character afterward is questionable to say the least, even if the introduction of the Great Saiyaman is a personal favorite moment. Sadly, other characters like Piccolo, Tien, Yamcha, and Krillin don’t get much focus at all. As the story progresses these characters get less and less to do, which begs the question of why they’re still around. This exposes what is generally the biggest narrative flaw in DBZ: its progression. One of the main issues is how power scaling is handled the deeper we get into the story. Each new villain introduced is stronger than the last, forcing Goku to continuously get stronger. With no power ceiling established, Goku’s strength is so much greater than the other heroes that those characters are insignificant when the fighting begins. Even someone like Vegeta has problems remaining relevant in fights deeper into these arcs; he’s often established as a force early on but becomes near useless when the final boss fight begins. This creates an extremely stale formula that involves the weaker fighters trying to stall and stay alive until Goku comes to save them. The progression in villains is also uninspired. 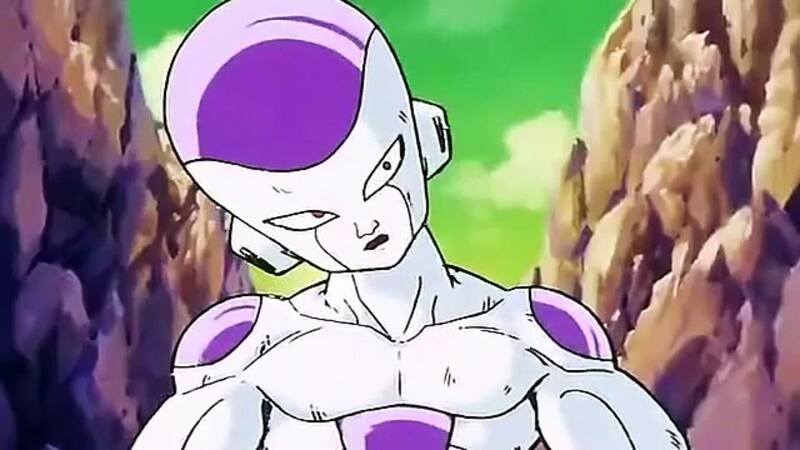 Frieza is the first main villain we see, and I think he’s a bad guy that makes a lot of sense. The Saiyan race is a focal point of this narrative, so having Frieza be the one who wiped out their entire planet makes him an instantly unlikable character. He’s an oppressive tyrant that destroys what he can’t control, so the second he pops up you hate him. Goku, Vegeta, and Gohan are the last of the Saiyan race, so defeating Frieza is something that feels personal to the characters. This is at least true for Vegeta, who grew up enslaved by Frieza. Vegeta is very prideful of his Saiyan heritage, so he hates what Frieza has done to his people. Goku, on the other hand, grew up on Earth, making him detached from that feeling. This leads to a showdown where Frieza demonstrates how powerful he is, showcasing four different forms, each more powerful than the last. 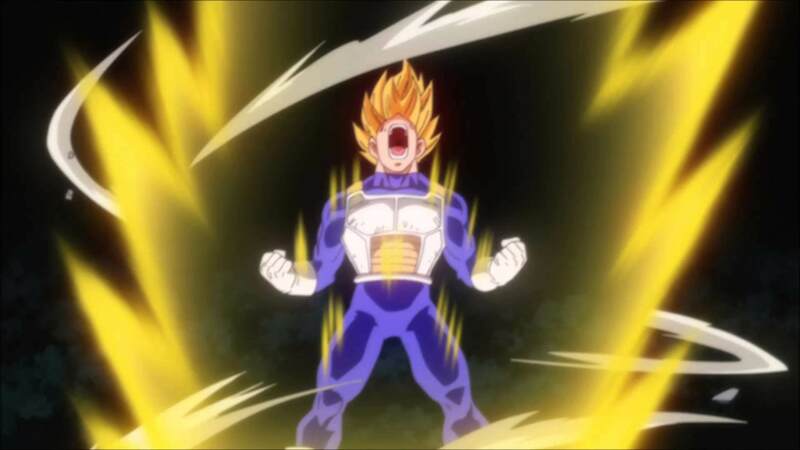 It all culminates with Goku becoming a Super Saiyan, which is one of the most iconic moments in anime. From there we get two other villains in Cell and Majin Buu that follow this same formula. Both of them have multiple forms, and each of their forms is a bigger threat than the last. This creates a repetitive feeling in the action where we know the fight isn’t over until their final form is revealed. This wouldn’t be so bad if it weren’t for two major factors. The first is, the pacing in Dragon Ball Z is absolutely dreadful. There’s so much standing around in episodes, where very little time actually passes by. To say that DBZ moves at a snail’s pace would be an understatement. It reaches its absolute worst in the fight between Goku and Frieza. At a certain point, Frieza throws an energy blast into the planet and says that it will explode in five minutes. This “5-minute” fight ends up lasting nine episodes. The second reason is that DBZ’s action doesn’t have much variety. Despite some of the fighters being martial artists, most of the combat is reduced to simple brawling. There are seldom tactics used that go beyond someone trying to punch someone else as hard as they can. There are energy blasts involved too, but aside from being different colors and being given different names, there isn’t much of a difference between them. This becomes a problem when you have to sit through episode after episode of people fighting the same type of villain. Most of the action feels the same, with very little actually happening for episodes at a time. Now, I’m not trying to say that all of the action in Dragon Ball Z is bad, because when they get it right, the moments are special. I’m saying that there’s not even close to enough variety to justify these fights being as long as they are. My other problem with the fights themselves is that it’s hard to be invested in the results. There’s never any tension built in these fights because death isn’t a consequence. The name of the series is Dragon Ball Z, and the dragon balls play a pivotal part in the story. There are seven dragon balls in all, and once they’re gathered together, they can be used to grant any wish. A lot of times in DBZ they’re used to bring someone back to life. It’s done often enough that no death matters. You know in the back of your mind that anyone who dies is coming back. Even while they are dead, we still see them in the series regularly. It means that the sacrifices our heroes make aren’t really sacrifices at all; they’re just minor setbacks. Looking back at it, the animation also leaves a lot to be desired. Large chunks of the fights are illustrated by people teleporting around in the sky throwing random punches and kicks. The one thing that I still absolutely love is Akira Toriyama’s character designs. The look of characters like Perfect Cell, Super Buu, and the different super Saiyan forms are visually striking. Back when Dragon Ball Z was dubbed in English, Funimation was in its infancy. There weren’t many reliable voice actors they could call, which made a series of this scale really tricky to work with. Luckily for them, the cast they landed produced one of the most electric English dubs ever made. The voice acting quality in anime has gotten much better over the years, but the sheer energy put behind every power-up and energy blast in DBZ is something extraordinary. Voices were ruined forever in the process, and that sacrifice is something I’ll always appreciate. A lot of that credit has to go to Christopher Sabat, who was the voice director, as well as the voice of over 20 characters in the series, including: Piccolo, Yamcha, and of course Vegeta. Accompanying the voice acting in the audio department is the legendary soundtrack produced by Bruce Faulconer. There are just so many tracks here that capture the moment perfectly. Whether it’s a battle theme that sets the tone, or a character theme that captures their essence beautifully, this soundtrack connects on all fronts. Some of the standouts are the Super Saiyan 3 theme and Perfect Cell’s theme. Even the track that plays at the end of every episode is fantastic. Dragon Ball Z is an anime that has way more style than substance. The narrative is an absolute mess from start to finish. Even the transitions between arcs are overly contrived setups. Despite this, I can easily see how DBZ became so popular. The characters are likable and the energy that some of these moments produce are contagious, but I wish that DBZ was more than just its moments. Yes, they’re amazing once you reach them, but I can’t convince myself that the tons of hollow episodes in between are worth it. I assume most people reading this have already watched Dragon Ball Z, but if you’re one of the few that haven’t, I can’t really suggest giving it a shot unless you’re just tired of being left out of DBZ conversations. Dragon Ball Z has likable characters and an amazing vocal cast, but the sluggish narrative keeps it from being as good as advertised.